SOLD! Amazing Views From Top Floor Unit! SOLD! Birds! Sunsets! Community Pool! Nature Preserve! Hike & Bike Trail! Ship Channel Views! SOLD! Top Floor Unit With Water Views! SOLD!! Spectacular Views of the Gulf! SOLD! Gorgeous Views & Assigned Parking at Premier Beachfront Resort! SOLD!! 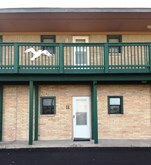 Sleek Updated Unit At Island Retreat! SOLD! SOLD!! Second Floor At The Courtyard! SOLD!! SOLD!! Bay Tree Condo With Views Of Ship Channel! SOLD!! SOLD!! Executive Keys Condo With Views! SOLD! SOLD! Beautiful Condo With View! SOLD!! Oversized Canal Lot! SOLD!! SOLD!! Largest Lot In Island Moorings! SOLD!! SOLD! Large Corner Lot on Canal! SOLD! Turnkey, Fully Furnished & Rarely Available! SOLD! Incredible 360 Degree Views from Rooftop Deck! SOLD!! Incredible Views From This End Unit! SOLD! Coastal Beauty At La Mirage! SOLD! Located Close To Beach! SOLD! Mustang Island Beach Bungalows Lot! SOLD! Located Close To Beach With Walk Crossover! SOLD!! 2 Bedroom With Square Footage Of 3 Bedroom!!! SOLD! SOLD! Lot Available In Mustang Island Beach Bungalows! SOLD! Ground Floor Unit Near Marina & Ferry! SOLD! Great Price For Lot In Holiday Beach! SOLD! Expansive Gulf Views! SOLD! SOLD! Beautifully Decorated Beach Getaway! SOLD! Build Your Dream Home In Safe Harbor! SOLD! Gulf Shores Beachfront Unit!! SOLD! SOLD! Bright & Cheerful End Unit! SOLD! Cute Ground Floor Efficiency! SOLD! Corner Lot Located In Town! SOLD!! Sea Sands Two Bedroom!! SOLD! Excellent Location In Beachfront Neighborhood! SOLD! Large One Bedroom Sleeps Like Two! SOLD!! Beachfront At Sea Isle Village! SOLD!! Cute Condo With Cute Price!!! SOLD!!! Second Floor, Water View & In-Town! SOLD! The Perfect Lot To Build Your Dream Vacation Home! SOLD! Great Price For Completely Remodeled Unit! SOLD! Beachwalk Lot To Build Your Dream Home On! SOLD! Perfect For Boaters And Fishing Enthusiast! SOLD! SOLD!! RARELY AVAILABLE Executive Keys Efficiency! SOLD! SOLD! Great Price for Adorable Townhome! SOLD! Highly Sought After Neighborhood! SOLD! Spacious & Beautiful Freestanding Condo! SOLD! Buy This Lot And The House Next Door!! SOLD!! Corner Unit at Island Retreat! SOLD!! Gated Community With Golf Cart Accessible Boardwalk! SOLD!! PENTHOUSE With Wide Open VIEWS! SOLD! SOLD! Close To The Beach! SOLD! Great Location In Heart Of Port Aransas! Perfectly Maintained, Charming Coastal Condo! SOLD! Bargain Priced 2nd Floor Efficiency! SOLD!! Ground Floor Efficiency With Full Kitchen! SOLD!! SOLD! In Town Location With Huge Garage! SOLD! Watch The Ships From Balcony! Amazing Views from Beautifully Decorated Unit! SOLD! Adorable Townhome Within Minutes of Beach!